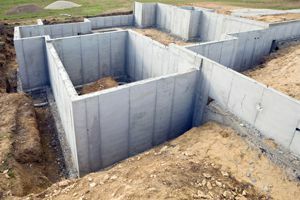 Comment: We are looking to purchase a home with a brick foundation but before we finalize our offer weâd like to know the time and cost of replacing the brick foundation with a concrete foundation. Home is 2 stories 1700 sq feet. Built in 1900. Comment: Hello, I will need a small foundation poured for a tiny home, 8'6" X 27'. I am also interested in a simultaneous job of adding a foundation to an enclosed porch on the main house, currently on posts and dirt, attached to the house. The size of that is approx. 10' X 20'. I would like a quote for both, recognizing that a lot of the built in costs for the foundation are in bringing out the concrete mixer to the site. Thank you! xxxx M.
Comment: The home sits on slopes in the back yard and front yard. I need French drains. Oakland Foundation Contractors are rated 4.68 out of 5 based on 257 reviews of 15 pros. Not Looking for Foundations Contractors in Oakland, CA?